Have you made your original design files publicly available? Have you made a bill of materials publicly available? Have you properly licensed your design files so that others may reproduce or build upon them? More robust documentation makes it easier for downstream users to build, use, and iterate on your product. Robust documentation, especially when paired with creative design elements and descriptive text, takes on greater amounts of copyright protectability to prevent against misuse. Note that copyright protected product documentation can still be open and easily usable by downstream users. Stronger copyright protection for product documentation merely makes it easier to attempt to enforce the terms of the applied copyright license. To ensure that downstream users are free to use your documentation, all open source documentation is required to be licesed openly, such as with a Creative Commons (CC) license. Which CC license you choose is up to you: pick the one that most closely aligns with your desires for your project and follow the CC guide to sharing your work. All written or drawn materials have some inherent copyright protection. The amount of protection copyright offers varies depending on whether the materials are purely functional or more creative and artistic. It is important to note that copyright protection for documentation only means that other creators cannot copy your design documentation without your permission (which you grant them through the CC license). It does not stop other creators from making a physical object based on the instructions that the documentation provides or making their own version of your documentation. Note that copyright protected product documentation can still be open and easily usable by downstream users. Stronger copyright protection for product documentation merely makes it easier to attempt to enforce the terms of the applied copyright license. Creating thorough, robust, and creative documentation increases the enforceability of its license terms. All of these products’ documentation are “open” documentation because they use a Creative Commons (or similar) license to enable downstream users to copy and build upon them. 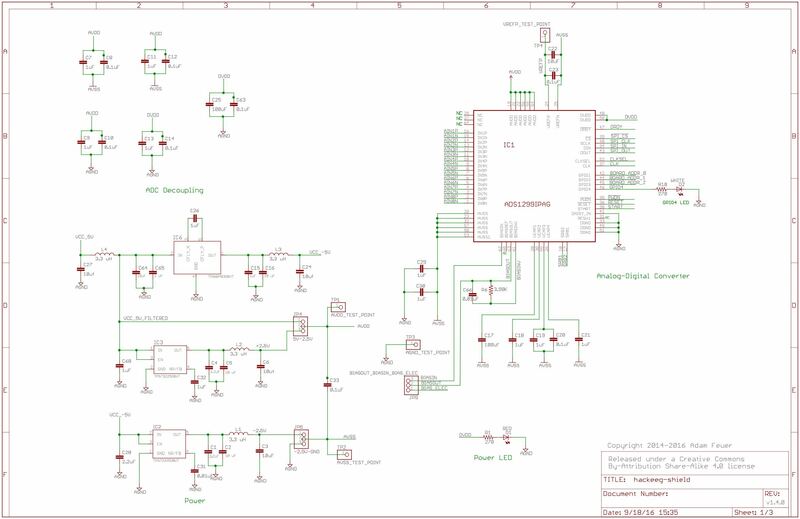 The schematics towards the left side of the spectrum are generally more stripped down and functional, lacking creative embellishments or illustrations. This makes them less protectable under copyright law. Both the HackEEG and Sparkfun schematics are almost purely functional, but the Sparkfun logo gives it a small amount of artistic flourish, arguably increasing protetability. 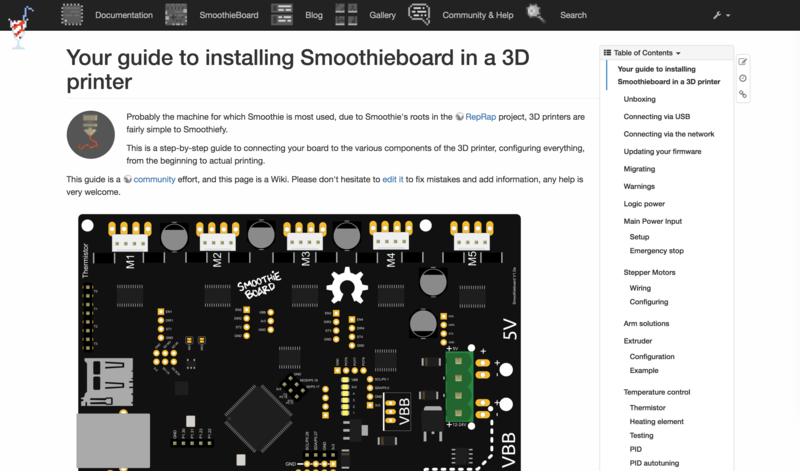 The Smoothieware Guide and Sparkfun Guide are more protectable because they feature both images and text, which express a greater degree of creative thought and artistic design. The Handibot model is in the middle, because it is largely functional, but the color choices and visual elements do contain a degree of creativity. The HackEEG schematic is almost purely functional, making it relatively less protectable against misuse. 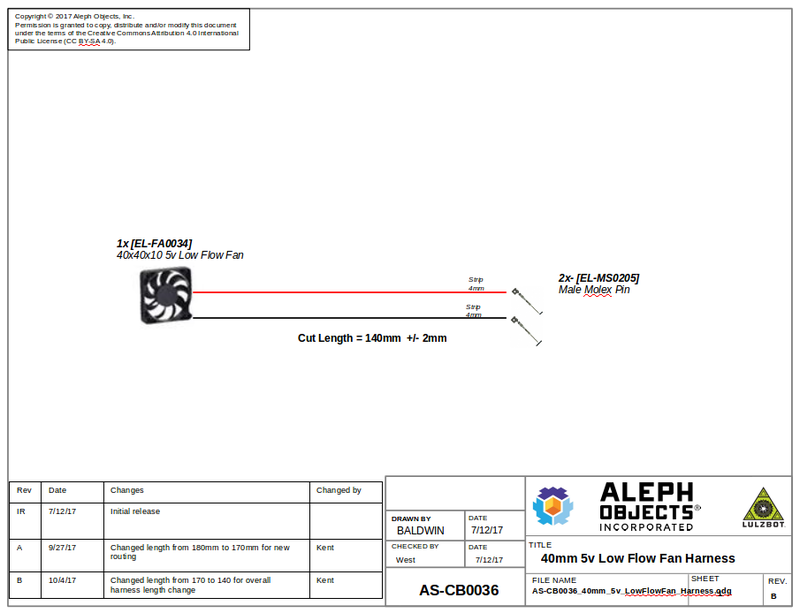 The Aleph Objects schematics are almost purely functional, but the Aleph Objects logo gives it a small amount of artistic flourish. The Handibot model is in the middle of the spectrum because it is largely functional, but the color choices and visual elements contain a degree of creativity. The Smoothieware Guide is most protectable because it features both images and text that expresses a high degree of creative thought and artistic design. In order to ensure downstream users are free and clear to use your documentation, all open source documentation is required to include an open copyright license. Which license you choose is up to you. We recommend using a Creative Commons license on your product documentation. Pick the one that most closely aligns with your desires for your project. Please visit the Creative Commons website for a full description and explanation of the different CC licenses and a guide to their use. Other open copyright licenses may be acceptable under the OSHWA definition. We recommend Creative Commons, however, due to its widespread acceptance, recognition, and ease of use. A CC 0 license is the most permissive option, which lets downstream users use your product documentation for any purpose without any limits. This license relinquishes any claim you may have over ownership of the product documentation. This means that other open source hardware makers may use your product in way they see fit, as long as it confirms to the OSHWA Definition. Other open copyright licenses may be acceptable under the OSHWA definition. We recommend Creative Commons, however, due to its widespread acceptance, recognition, and ease of use. The use of any CC “NonCommercial (NC)” and “NoDerivatives (ND)” licenses are not permissible under the OSHWA Definition. A CC BY license allows downstream users to use your product documentation for any purpose, so long as they attribute their use back to you. This means that other open source hardware makers need to attribute your original copyrighted documentation to you in order to comply with the terms of the license. Doing so allows them to use your documentation for any purpose that fits within the OSHWA Definition. A CC BY-SA license allows downstream users to use your product documentation for any purpose, so long as they give appropriate attribution and license any new creations under the same terms as your license. This means that other open source hardware makers need to (1) attribute your original copyrighted documentation to you and (2) allow others to license their new copyrighted material in the smae matter in order to comply with the terms of the license. Doing so allows them to use your documentation for any purpose that fits within the OSHWA Definition. The documentation for AXIOM mostly consists of information on the AXIOM website. This documentation is protected by copyright and licensed under a CC-BY license. That means that others can copy and build upon AXIOM’s documentation as long as they give credit to AXIOM. The product documentation for F-F-Fiddle is mostly functional, but it does contain enough expressive elements to have at least some copyright protection. The CC-BY-SA license allows anyone to copy and build upon the documentation as long as they comply with the terms of the license. The documentation is hosted on Public Lab’s website and includes text as well as images that are protected by copyright. The CC-BY-SA license allows anyone to copy and build upon the documentation as long as they meet the licensing requirements. The documentation for the Rotator and Mixer is an academic paper that is protected by copyright. The CC-BY license allows others to make copies of the documentation and modify it as long as they give credit to the original creator. More original, robust documentation is likely to have stronger copyright protection, which can prevent against misuse. Copyright only protects against third parties misusing the product documentation itself, not against making a physical copy of the product by following the documentation instructions. The definition of open-source hardware specifies that you must allow modification and commercial re-use of your design. That makes CC licenses with a no-derivatives or non-commercial clause incompatible with certification.